C.S. Warthman Furneral Home Inc. offers obituaries for the deceased in Union City, PA.
C. S. Warthman Funeral Home, Inc.
C.S. 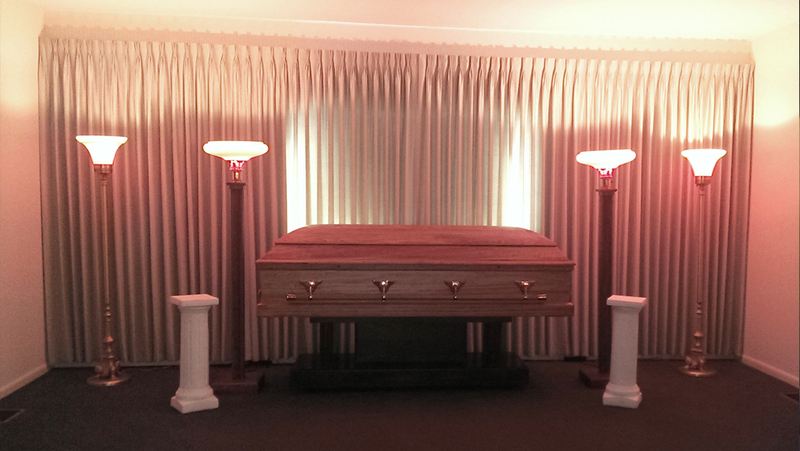 Warthman Funeral Home, Inc. understands how difficult it is to lose a loved one. That is why we do our very best to make sure the recently deceased and their memory, are honored respectfully. We would like to share with you our obituaries, honoring the recently deceased. For more information regarding our services, get in touch with us today. We can be reached via phone or email. Genevieve C. Kozuchowsky, 87, of Clarence, NY and formerly of Union City, died on Sunday, December 2, 2018.
daughter of the late Romaldi and Rozilia Kumiega Kozuchowsky. She graduate from Union City High School, received a BS in Education and a Masters Degree in Education in 1957 from Penn State University. Friends may call at St. Terea's Catholic Church, 9 Third Ave. From 10:00 to 11:00 AM and are invited to attend a Mass of Christian Burial there at 11:00 AM with Father F. Thomas Suppa officiating. Burial will be in St. Teresa's Cemetery. Joan R. Burton Gibas, 81, of Concord Street, Corry, died at her residence on Saturday, November 10, 2018, surrounded by her loving family. She was born in Erie on October 1, 1937, a daughter of the late Marvin J. and Mildred Olds Burton. Joan graduated from Corry High School and enlisted in the US Air Force where she served as an Administration Clerk at Ent Air Force Base, Colorado. She was employed as a secretary at AJAX Co. for 20 years. She also baby sat for a number of families in the Corry area. She was a member of St. Thomas Church and of its' Catholic Daughters of America. She loved to plant flowers and work in her garden, cook, bake and especially spending time with her grandchildren and her great grandson. She was preceded in death by a brother, John Burton and a sister, Doris Banson. She married her husband Walter J. Gibas on October 7, 1961 and he survives her. She is further survived by four children; John J. Gibas of Corry, Teresa A. Gibson of Union City, Michael E. Gibas of Springcreek, PA, Susan M. Upton of Spartansburg; six grandchildren, Carley Gilson of Corry, Mackenzie R. Gilson of Union City, Riley T. Hajac and Rachael T. Hajac, both of Spartansburg, Jessica Wittmer and Kate McCray both of Corry and by her great grandson, Baby Jay. Friends may call at St. Thomas the Apostle Church on Wednesday from 10:00 - 11:00AM followed by a Mass of Christian Burial there. Burial will be at St. Elizabeth Cemetery, Corry. JERRY R. ADAMS, Sr., 76, of Union City, passed away on Sunday, October 14, 2018 at his residence from natural causes. Jerry is survived by his wife of 57 years, Diana J. Beezub Adams; two sons, Jerry R. Adams , Jr. of Erie, and Mark J.Adams of Canadohta Lake; two daughters, Sarah E. Adams and Kerri L. Adams, both of Union City; a sister Beverly Morton of Union City; 11 grandchildren and 17 great grandchildren. Friends ma call at the C. S. WARTHMAN FUNERAL HOME, INC., 69 North Main Street, Union City on Wednesday, from 6 to 8 PM and are invited to attend a service there on Thursday, October 18, 2018 at 11:00 AM with Rev. F. Thomas Suppa officiating. Russell D. and Sarah A. Duryee Adams. She was last employed as a cashier at the Salvation Army Store. She previously worked at Elgin Electronics. She enjoyed country music and old time TV. She also taught her daughters how to knit and crochet and how to wash dishes properly (a passion of hers). Besides her parents, she was preceded in death by her first husband, Duane Van Epps, her second husband Ronald Brown, two sons, David A. and Daniel A. Van Epps and brothers, Larry E., Sr. and Robert D. (Bobby) Adams. Arnette is survived by two daughters, Amanda J. Van Epps and her fiancé Joseph H. Gibbens and Dannette D. Naugle and her husband David M., a brother, Jerry Adams and his wife Diane a sister, Beverly Morton and her husband Ron and a sister-in-law Melody Adams. She is further survived by grandchildren Noah, Chaz, Emilynn and Natalia Van Epps, Joshua N. Day, Nathaniel Day and his wife Melissa and daughter Sophia, Rachel Engasser and her husband Allen and son Joseph, Hannah M. Kucewicz and her husband Jonathan and son Jayden, Samuel D. and Sarah D. Naugle, Robert D. Van Epps and numerous nieces and nephews. Friends may call at the Mt. Pleasant Chapel on Saturday, September 1, 2018 from 4 to 5 PM and are invited to attend a service there at 5:00 PM with pastor David Nolan officiating. Burial will be private and at a later date. The C. S. WARTHMAN FUNERAL HOME, Inc., 69 North Main Street, Union City is in charge of arrangements. Todd M. Geary, 27, of Union City, passed away unexpectedly on Saturday, August 18, 2018 at his residence. He was born in Steubenville, Oh on July 5, 1991, a son of Larry Michael Geary of Florida and Betty (Beth) Marie Jackson Geary of Waterford. Todd attended Seneca High School and recently worked for MFG Company in Union City. He previously worked as a cook at Smokey Bones, Eastland Bowling and Quality Markets. He enjoyed hunting, skateboarding, music, drawing and cooking. His greatest joy was spending time with his children. Besides his parents, he is survived by his fiancé, mother of his children and his soulmate, Jessica Lynn Nelson, Union City; a daughter, Arayna Vae Geary and a son, Owen Michael Geary, both of Union City; two sisters, Jody L. Mohlmaster and her fiancé Jonathan Burgett of Wooster, WV and Jennifer E. Geary and her fiancé Steven Pulice of Wellsburg, WV; his grandmother, Joanne Lee Worrell, Athens AL; two aunts, Renee A. Carter, Athens, AL and Debby D. Monroe, wife of James of Richmond, OH. He is further survived by two nephews and on niece. Private viewing was held for the family on Tuesday. At the families request, there will be no public viewing or service. Margaret E. Landers, 71, of Rockdale Township, Cambridge Springs, PA died at her residence, surrounded by her family, on Friday, August 3, 2018. She was born in Union City on December 9, 1946, a daughter of the late Milton E. and Gertrude Proper Whitmeyer. Services were private and at the convenience of the family. The C. S. Warthman Funeral Home, Inc. 69 N. Main Street, Union City was in charge of arrangements. Catherine L. Beebe, 69, of Corry, went to be with her Heavenly Father, surrounded by her family , on Wednesday, July 18, 2018, at Corry Manor. She was born in Union City, on March 7, 1949, a daughter of the late Harold P. and June M. Whitney Beebe. Cathy attended Union City High School and had worked at the Barber National Institute in Corry for a number of years. She was a former member of the Parade Street United Methodist Church in Union City and more recently had attended the First United Methodist Church in Corry. Cathy is survived by her aunt Gertrude Whitney of Union City and a cousin David Ward of Union City. Friends may call at the C. S. Warthman Funeral Home, Inc., 69 N. Main Street, Union City, PA on Thursday, July 26, 2018 from 10:30 AM until the time of a service at 11:00 AM with Rev. James Cannistraci, of the Parade Street Methodist Church, officiating. Burial will be in Evergreen Cemetery, Union City. JEANNE MARIE FANELLI McGUINNESS VALLIMONT, 71, of Union City, passed away peacefully on Wednesday, July 4, 2018 at St. Vincent Hospital following a valiant fight with cancer. She was born in New Rochelle, NY on January 28, 1947, a daughter of the late Thomas F. and Sara Jane (Sally) Blish Fanelli, Sr.She attended Holy Family Grade School and St. Augustine Grade School and graduated from The Academy of the Resurrection in Rye, NY. Jeanne went on to earn her BA degree from Newton College of the Sacred Heart, Newton, MA in 1969.Following graduation, Jeanne married James Lee McGuinness on June 13, 1969 and moved with him to north west, PA. They purchased the Morse Rexall Drug Store in Union City and operated it until Jim’s death on March 29, 1976.Jeanne had an artistic flair when it came to tailoring. She sewed at LeMars Bridal Shop in Erie for 6 years in the mid and late 1980’s, then sewed at Dorrine and Reese’s in Lawrence Park. In 1992, she opened her own store, the Clothes Clinic, in Union City and continued to run it until her health forced her to close it in March of this year.She was always concerned for the plight of the underprivileged and those in need. As such, she was one of the driving forces and a founding member of the board of Safe Journey (Horizon House) and continued to aid this cause by serving on the board for over 20 years. She received the RAVE award and two other awards from the PCADV for her work. She was also on the founding board of the North Coast Sewing Guild and served as its secretary for 5 years.Jeanne was very active at St. Teresa’s Catholic Church in Union City. She served as a Eucharistic Minister and Lector. She had also taught CCD classes in the 1980’s. She was involved in the Marriage Encounter movement. Jeanne used her talents to make many of the Priests’ vestments and the banners that hang in the church.She was preceded in death by her first husband, James L. McGuinness in 1976, a brother George Fanelli and a sister Julia Fanelli.Jeanne is survived by her husband, Patrick B. Vallimont, whom she married on February 18, 1978, a daughter, Cara G. Gunter and her husband Dave and their daughter, Emily, of Clover, SC, four brothers, Thomas Fanelli, Jr., Bill Fanelli and his wife Anne, Stephen Fanelli and Keith Fanelli and his wife Patti; three sisters, Jude Lemke and her husband Fred, Sara Fanelli and Mary K. Fanelli. She is also survived by numerous nieces and nephews.Friends may call at St. Teresa’s Catholic Church, 9 Third Ave., Union City on Monday from 6 to 8 PM and on Tuesday, from 9:30 to 10:45 AM are invited to attend a Mass of Christian Burial there at 11:00 AM on Tuesday with Fr. F. Thomas Suppa and Fr. Dennis Martin officiating.Burial will be in St. Teresa’s Cemetery, Union City. In lieu of flowers, donations can be made to Safe Journey in care of the funeral home, St. Teresa’s Restoration Fund, 9 Third Ave., Union City, PA 16438 or to the charity of one’s choice. The C. S. Warthman Funeral Home, Inc., 69 N. Main Street, Union City is in charge of arrangements. After a hard-fought battle with cancer, Elizabeth (Betty) Bowen, 75, ever so peacefully slipped from a life she loved here on earth to begin an incredible eternal life in Heaven. Her infectious smile and kind heart will be truly missed by many. Betty was born in Corry on October 15, 1942 the daughter of the late James O. and Clara B. Darnofall Woodworth. She graduated from Corry High School in the class of 1961. She then married her high school sweetheart “Walt” and had an amazing journey of 55 years of marriage. Walt and Betty loved spending time together, whether it was sitting on their front porch in their rocking chairs, going for rides to Krasa’s Cove for ice cream, or daily walks in Mead Park with their dog, Bailey – they just enjoyed each other. Together they raised 3 children – Todd, Dee and the “favorite child” Michael. Her family is forever grateful for the wonderful life she helped provide and for her guidance on the important things in life. Betty’s moto was “Treat others as you would like to be treated.” And she lived just that way. Betty was also an amazing “Grammy”. She had 12 grandchildren and 4 great grandchildren. She loved spending time with them and was able to instill her kind and caring ways in them as well. So many great times spent with Grammy are often the topic of conversation amongst family and will forever be treasured. For the past 37 years, Betty worked as a personal assistant to the priests of the Emmanuel Episcopal Church. She loved her time there and was so loved and appreciated by the parishioners of the church. She would often talk about and spend time looking at the beautiful stained-glass windows in the church. Anyone who frequents the Family owned Corner Bar and Grill will miss her smiling face peaking out of the kitchen to great the customers. And yes…her famous coleslaw will be carried on. Betty loved nature. She appreciated all of God’s gifts…the birds, trees, flowers, sunsets and the stars, and is loving her front row seat to it all. Betty is survived by her husband, Walter E. Bowen, three children, Todd Bowen and his wife Debbie, Dee Bloom and her husband Scott and Mike Bowen all of Corry; three brothers, Jim Woodworth and his wife Beverly of Brunswick, OH, Bob Woodworth and his wife Jessie of Lincolnville, PA, and John Woodworth and his wife Diane of Columbus, PA; one sister, Jackie Gatesman of Corry and her brothers-in-law Dan Hajac of Corry and Paul Bowen and his wife Phil of The Villages, FL. Friends may call at St. Paul’s Evangelical Lutheran Church, 201 E. South Street, Corry on Tuesday, July 3 from 3:30 PM until the time of a Celebration of Bettys Life Service at 4:30 PM. A light dinner will follow. In lieu of flowers… Be a little kinder, love a little deeper, laugh a little more and embrace life as Betty did. Or make a donation to a favorite charity in Betty’s name. The C. S. WARTHMAN FUNERAL HOME, INC., 69 N. Main Street, Union City, PA is handling local arrangements. 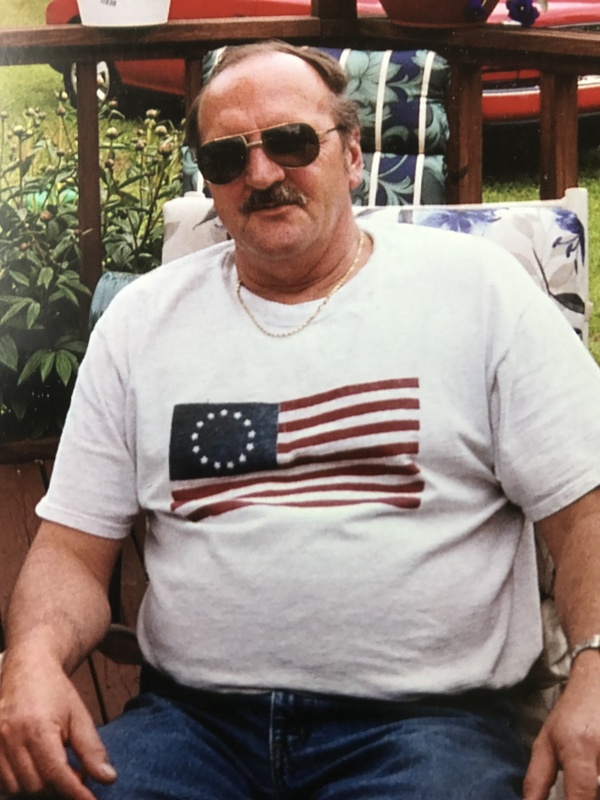 Thomas L. Kesselring, 69, of Union City, passed away on June 24, 2018 at Select Specialty Hospital in Erie, PA.
Tom was born in Lancaster, PA on March 7, 1949, the son of the late Thomas L. and Helen Wilson Kesselring. He graduated from Seneca High School in the class of 1967. Follow gradation, he worked as a heavy equipment operator before going to work at Union City Chair Company. He also worked part-time at the Union City Bowling Alley before becoming a long-distance truck driver. He retired from Roberts Trucking as a truck driver approximately 7 years ago. Tom was avid outdoorsman who loved bird watching, hunting and fishing, metal detecting and trapping. He also enjoyed working with his fiancé, Dorothy Burek, in their home gardens. Years ago, he shared his love of the outdoors with his community by writing a weekly column for the Union City Edition of the old Brown-Thompson newspaper. In addition to his love of the outdoors, Tom enjoyed hosting poker games for his family and friends, as well as playing Scrabble and other word games with family both near and far. He also thoroughly enjoyed coin collecting and had a passion for history. Tom is preceded in death by his parents, Thomas L. and Helen Wilson Kesselring, and two grandchildren, Hailey Elizabeth Kesselring and Shane Michael Burek. He is survived by his fiancé, the love of his life whom he lovingly referred to as his “Angel”, Dorothy E. Burek; six biological children and their spouses: Thomas L. Kesselring of Corry, Randy M. (Angela) Kesselring, of Corry, Shadd (Holly) Todd of Erie, Richard T. (Amanda) Kesselring of Erie, Jamie L. (Jeanie) Kesselring of Centerville and Sheena M. (Josh) Chollak of Dallas, PA; three step-children, Dorothy (Randy) Fish of Charleston, SC., John P. (Michelle) Burek of Union City and Michael D. (Lori) Burek of Union City, one sister, Brenda (Bruce) Patchke of Mount Holly Springs, ,PA; a cousin whom he was lucky to call a friend, Robert W. Bordner, Jr. of Lebanon, PA; and nearly thirty grandchildren and great-grandchildren combined. Tom was a loving partner, father, grandfather, brother and friend to all who knew him. He will forever be missed. Friends may call at the C. S. Warthman Funeral Home, Inc., 69 North Main Street, Union City on Wednesday, June 27, 2018 from 2-4 and 7-9 PM and are invited to attend a service there on Thursday, June 28, 2018, at 11:00 AM. Burial will follow at Mill Village Cemetery. 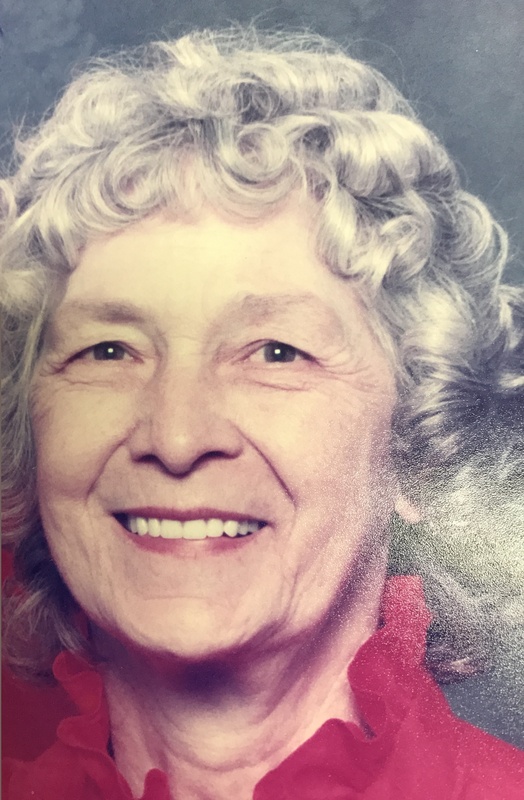 DOROTHY E. ZIMMERMAN DURYEE JORDAN 82, of Corry, died on Tuesday, May 8, 2018 at her residence following an extended illness. She was born in Ursina, PA on April 6, 1936, a daughter of the late William and Velva Wilt Zimmerman. Dorothy was employed as a rip saw operator at Cherry Hill Division of Ethan Allen Co. in Union City. She enjoyed gardening and crafts and kept her mind sharp doing cross word puzzles. She was preceded in death by her first husband of 25 years, Clair A. Duryee, Sr. in 1978 and by her second husband of 33 years, Arthur L. Jordan in 2017. She was further preceeded in death by a son, Clair A. Duryee, Jr. and by two sisters, Hazel Lawrence and Rosalee Fahey. Dorothy is survived by four daughters, Sharon A. (Larry) Beezub, Union City, Shelia E. (Allen) Fisher, Spartansburg, Juanita E. (Richard) Whaley, Springcreek, and Susan E. (Bryan) Lasher, Union City; a son, David A. (Julie) Duryee, Corry; a sister, Edith Mangol, Union City; and a brother Harold Bud (Gladys) Zimmerman, Corry. She is also survived by 20 grandchildren and numerous great grandchildren, nieces, nephews and cousins. Friends may call at the C. S. Warthman Funeral Home, Inc., 69 North Main Street, Union City on Friday from 3 to 5 PM and are invited to attend a service there at 5:00 PM. In lieu of flowers, memorials may be made to the The American Cancer Society or the Community Hospice. The family would like to thank the Community Hospice and in particular, Jill, Stephanie, Kim and Tammy for their compassionate care of their mother. She was a 2003 graduate of Union City Area High School. She had been employed by Northwest Savings Bank for the past 10 years and most recently had worked as a teller at the Union City Branch. Delaynne had a wonderful sense of humor, was easy to talk to and easy to get along with. She frequently was the person people at work could turn to with questions or problems. Delaynne was a devoted wife and mother who cut back on work to spend more time raising her daughter. She was an avid reader and enjoyed dancing and riding ATV’s. Besides her parents Jeff and Debbie Malinowski, of Mill Village and her step-father, Mark Grawbowski of Union City she is survived by her husband, Jeremy L. Logsdon and her daughter, Shaylene A. Logsdon, both of Union City. She is further survived by two sisters, Jolene Balkovic and her husband Brandon of Montgomery, AL and Shamay Balkovic and her husband Calin of Erie; one brother, Joseph Malinowski of Sherman, TX; Her grandmothers, Dorothy Emerson of Union City and Phoebe Titch of Corry; her In-laws, Francine and William Drohn of Centerville; her sister-in-law Alexis Drohn and her fiancé Bobby Rohrer of Mill Village; her best friend, uncle Don Burger of Waterford; and numerous aunts, uncles, nieces, nephews and cousins. She was preceded in death by her grandfathers, Donald Burger and Robert Elder and her uncle Edward Hart. Friends may call at the C. S. Warthman Funeral Home, Inc., 69 N. Main Street, Union City on Tuesday, May 8, 2018 from 6 to 8 PM. A private funeral service for the immediate family only will follow at 8:00 PM. Copyright © C.S. Warthman Funeral Home, Inc., 2014. All rights reserved.